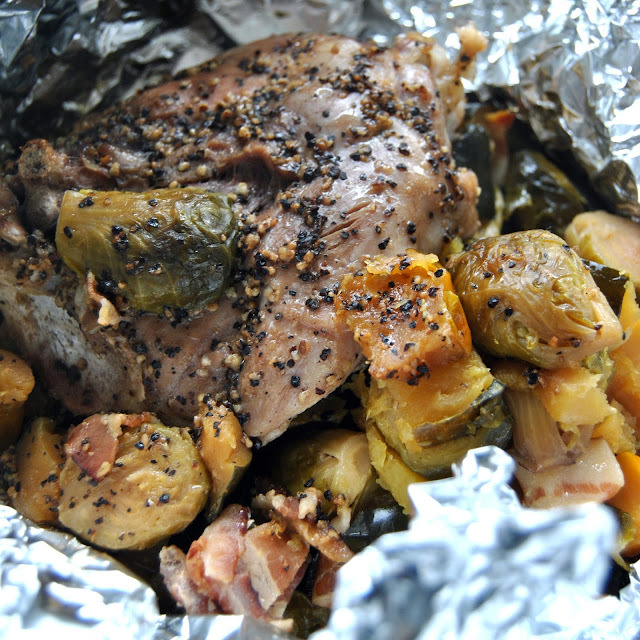 Foil dinners are all the rage lately. 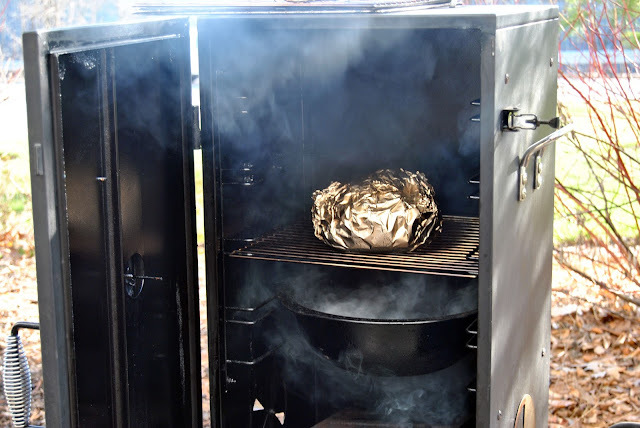 This is a good one for the smoker at home, but it's also not a bad idea for camp! 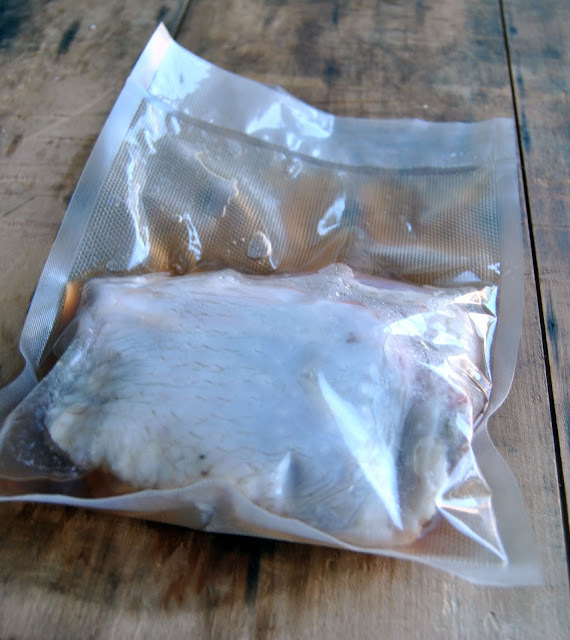 Place the turkey thigh into a large Vacuum Bag, then pour in ¼ cup brine. 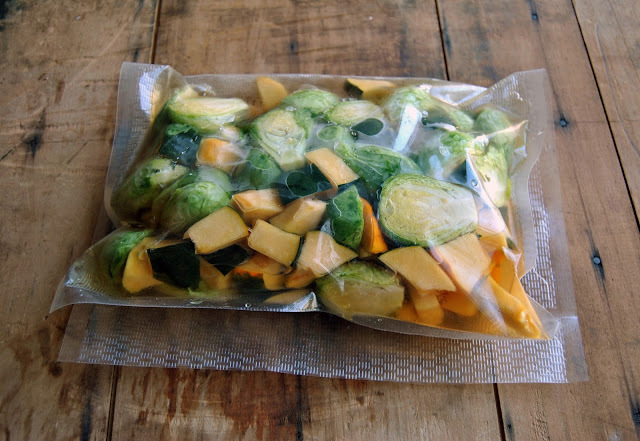 In another large bag, add the brussels sprouts and squash, then pour in the remaining brine. Vacuum Seal both and refrigerate overnight. Do I have to brine it? You should, yes. Any food that goes into the smoker can easily become dried out. What's more: turkey, and even more: wild turkey can be exceptionally dry. So it is pertinent that you brine it first to ensure that it comes out of the smoker looking juicier than ever. It doesn't hurt to brine the veggies as well. Trust us, both the moisture and the flavor will be exponentially better if you brine. 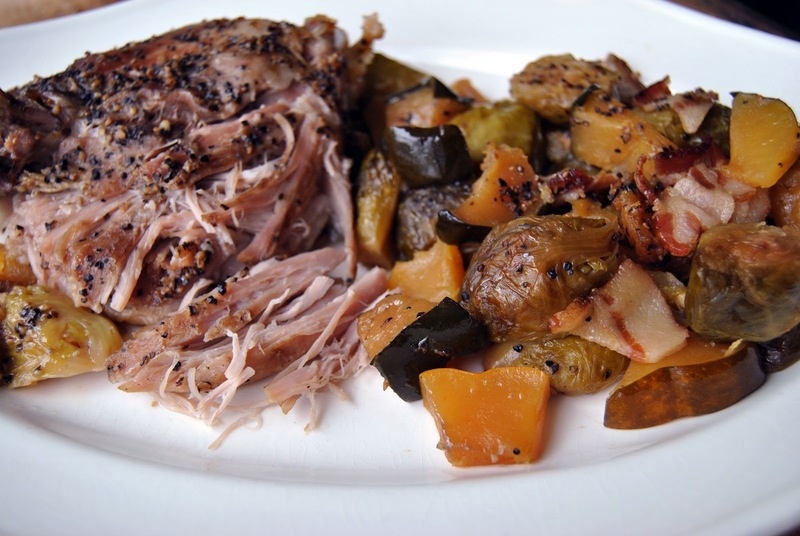 Preheat your Smoker to 200ºF. Fill the water bowl. Soak wood chips for 30 minutes. 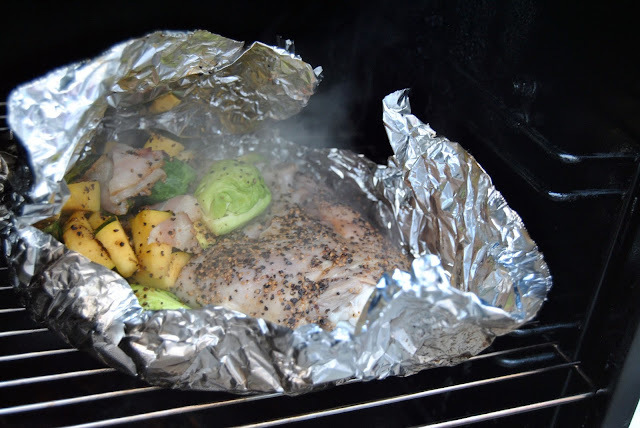 Roll out a large piece of foil. 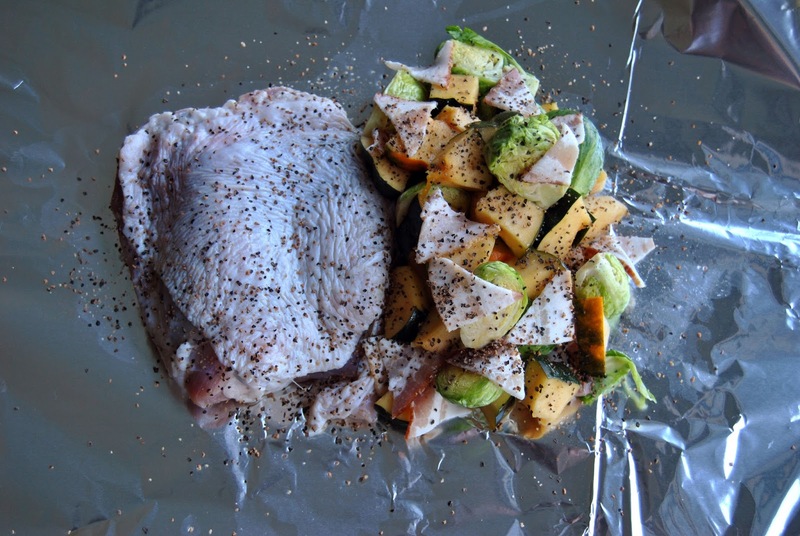 Lay the turkey thigh, acorn squash and brussels sprouts out on the foil. Sprinkle the bacon lardons and butter cubes over the turkey, squash & sprouts. Sprinkle all over with Mesquite Seasoning. Close up the foil and place the packet into the Smoker and smoke at 200ºF for 6 hours or until the turkey thigh reaches 165ºF. This smoky wild turkey literally fell off the bone when we poked it with a fork.